It was a bitter pill to swallow as Daniel Levy stated that Tottenham would be playing their home games at Wembley until the end of the year. 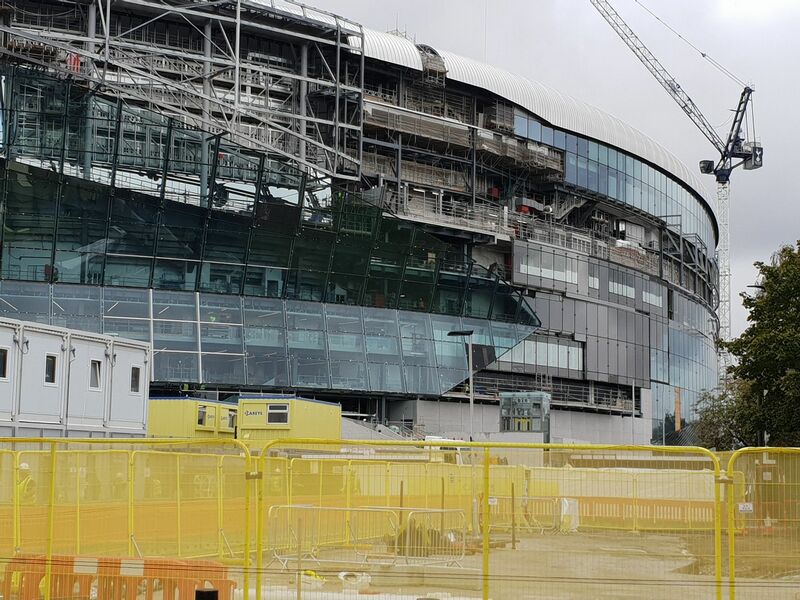 The chairman added that we would be getting another update on the stadium in December, even though Mauricio Pochettino had claimed that we could be playing at the venue before the festive period. Nevertheless, work still continues on our new home, and a new clipping highlights a flurry of activity on the pitch. The stadium features a special lighting system for the turf, and we get a glimpse of the same in the video. The exterior of the stadium needs some TLC and a number of glass panes are yet to be installed. Several cranes are on the job throughout the day and night to get as much completed as possible. A view from one of the interior cameras highlights a large crane near the top of the roof while seats are slowly installed. The pavement on the outside of the venue also seems to be taking shape, but a lot of the area still needs to be worked upon. Tottenham’s new stadium should be one of the best in the world, and the wait has been a little too long after the initial date of 15 September was shared by the club. We are unsure who the first visitors at the new home would be, but are certain a fantastic atmosphere will greet them from the Tottenham fans.